Here is another great deal you can score at Walgreens this week! 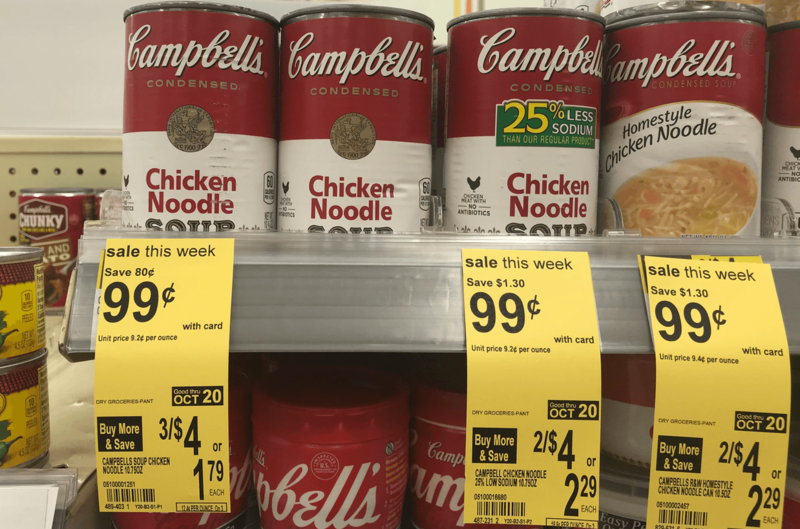 Now through 10/20, Walgreens has select Campbells Condensed Soups on sale for $0.99. Add 4 of these to your stockpile for just $0.89 each after the coupon!